These fizzy bath salts are so easy to make, with only 4 ingredients. 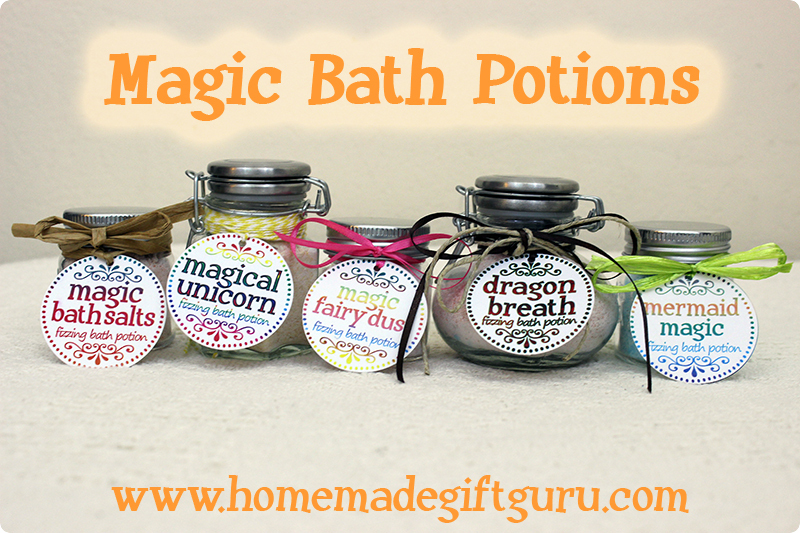 Each magical potion below features a fantasy creature theme, such as Magical Unicorn, Fairy Dust, Dragon Breath or Mermaid Magic. They make a surprisingly easy homemade gift idea, combining the fizzy fun of homemade bath bombs with the ease of a simple bath salt recipe. Kids love to pretend that there is magic being activated as the bath powder hits the water with a burst of color and fizz while teens and above will appreciate the magical look and feel of these fun homemade bath salts. Magic fizzing bath salts activate when sprinkled in the bath, providing a magic burst of fizz and color. So... if you know someone big or small who loves mythical creatures like fairies, mermaids, dragons or unicorns, this may just be the next little unique homemade gift idea to add to your plans. Although, I've included free printables for specific fantasy creatures, feel free to put your own spin on your creations. 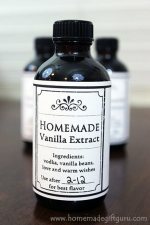 For example, you could make a Harry Potter-themed bottle by making your own gift tag labels or by using the more generic label I created that simply says, "Magic Bath Salts: fizzing bath potion." Not quite ready to make this? Pin it for later! 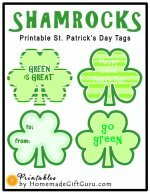 The featured free printable labels are available as .pdf documents. Simply click on the link in the instructions and you'll get a new window with the corresponding printable gift tags. The tags are all 2 inches in size, so they can easily be punched with this paper punch or they can be cut out with scissors. To use them, put the label and instructions together and punch an 1/8" hole in the top. Attach them both to ribbon or craft cord and then to your gift. The recipient can lift the top tag to reveal the instructions. 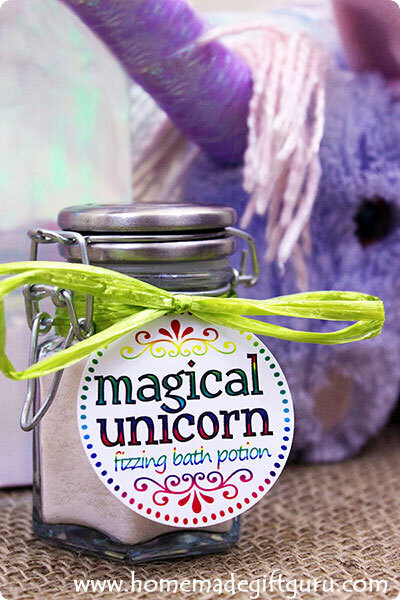 To honor the Unicorn within, make this magical unicorn fizzy bath salt potion and give the gift of purple bath bliss. Sift baking soda and citric acid to avoid any small clumps. Add salt and Kool-Aid. Mix gently until everything is evenly dispersed. 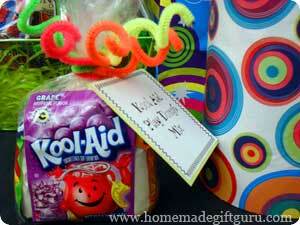 Fill small air-tight bottles, jars or plastic bags with powder and label them using the fun gift tags provided. Make sure your container is air-tight to keep moisture out until ready for use. 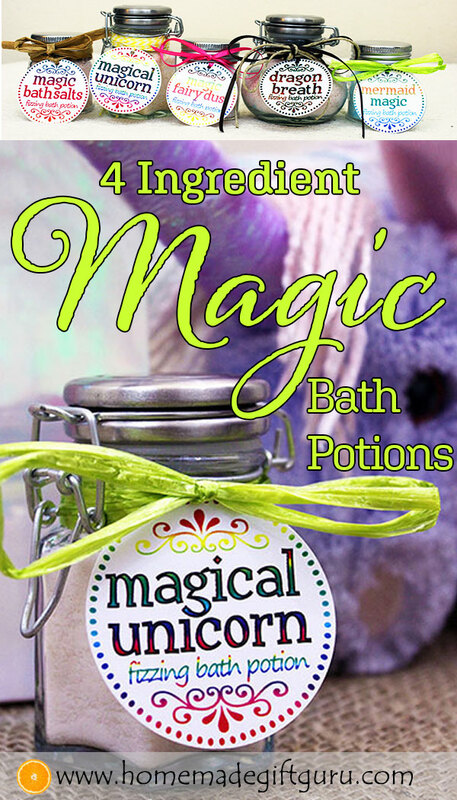 To Use: Fill tub and sprinkle 1/4 cup bath potion to activate magic. Enjoy! Tips... Keep the mix dry. Package in a dry air-tight container or bag that seals airtight. For best fizz, always use fresh ingredients. 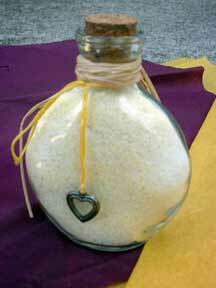 This fizzy bath salt recipe is infused with magical fiery dragon breath. As the magic activates, a burst of red fizzing dances upon your bathwater and leaves your bath tinted red for maximum fun! 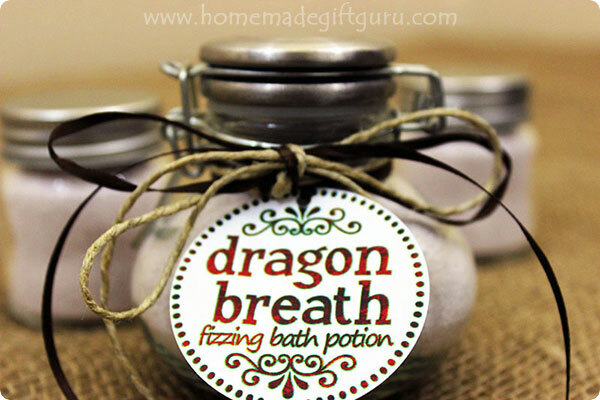 ...Bathing in dragon breath will warm you up from head to toe and give you a magical glow. Sharing dragon breath bath potion is like giving a great big hug to someone special. The fairies were kind enough to share their sweet smelling bath salt recipe with me, so now we can all take pink fairy dust baths. 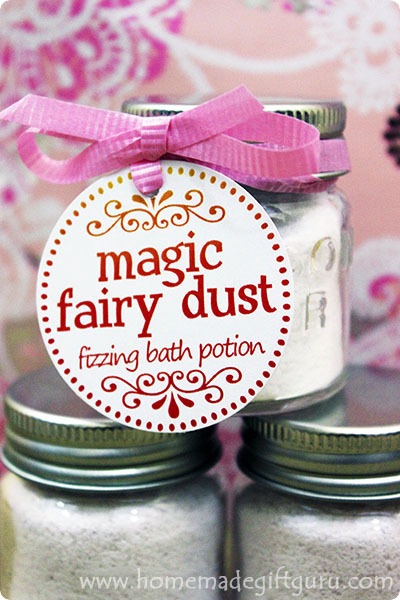 Fairy dust baths infuse our lives with happiness, joy and giggles. 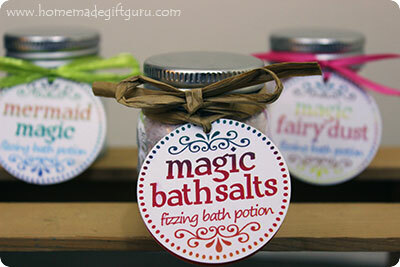 Make this fizzy bath salt recipe for someone special, so they can relax into the sweet smelling pink magic of the fairy world. Mermaids are beautiful creatures who quite literally float through life. Bathing in mermaid magic is like putting the struggles of life on hold, so all you can hear is fish kisses and ocean waves. Fizzy bath salts infused with mermaid magic are not only as relaxing as laying on the beach, they smell delicious... let me just tell you, your kids and your favorite mermaid loving friends deserve a dose of aqua tinted mermaid magic bath bliss. For colorless fizzy bath salts, simply leave out the Kool-Aid. Sift baking soda and citric acid to avoid any small clumps. Add salt and mix until everything is evenly dispersed. 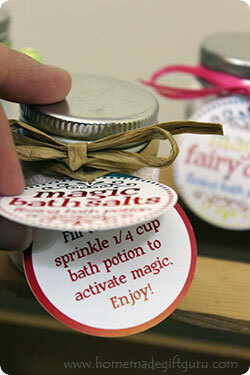 Fill small bottles or jars with fizzy bath salt powder and label them using the fun gift tags provided. 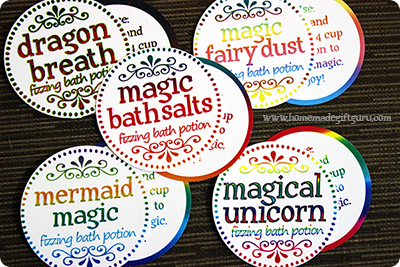 Print any of the above magical creature labels or print these basic magic bath salt labels. The fizzy bath salt recipes above are specially designed for the fun loving imaginative humans in your life... whether they are children, teens or young at heart adults. 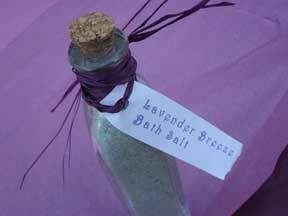 Fizzy bath potions make great stocking stuffers, unique party favors and fun homemade gifts for kids and teens any time of year. 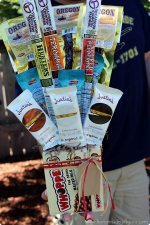 They can be the start of fantasy themed homemade gift baskets. For example... for each mythical creature, you can put together a basket of items using that theme, just shop and create until you have a basket of fantastic fantasy fun. Happy gifting!